Have you ever noticed that after you declutter your closet you feel like you have more clothes than you did before you began? This is because now you have easy access to your favorite clothing—those things that fit you well and you feel great wearing. 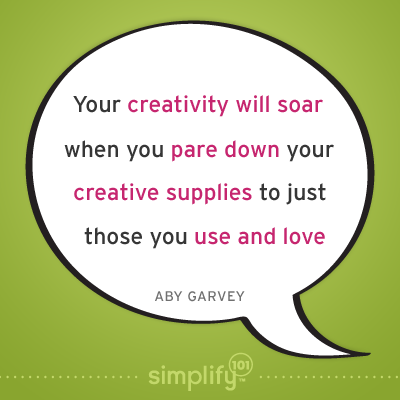 The same thing will happen when you declutter your creative tools and supplies. When you pare down your supplies to just those items you use and love, it will be easier to use and enjoy your favorite creative gear. In turn, your creativity will soar!